In this edition of the SA parkrun newsletter, we look at the launch of two new parkruns, which means we now have 80 to choose from in South Africa. 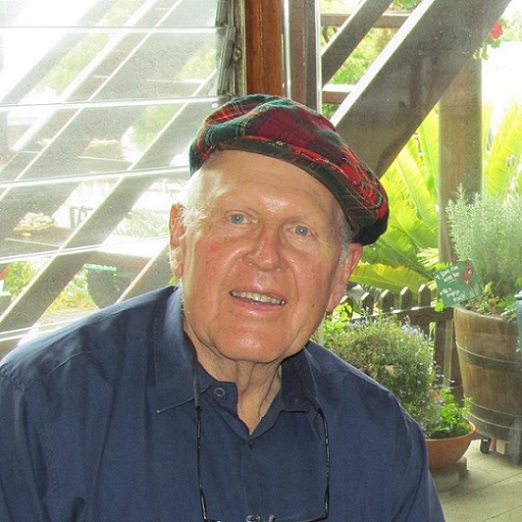 We also look ahead to the 91st Comrades Marathon at the end of the month and celebrate our parkrunner of the month, Harry Gird from Hartenbos parkrun. We are delighted to see that many schools are using parkruns in South Africa to train their cross-country teams. A month ago nearly 500 youngsters from Bloemfontein schools registered to run at Naval Hill. There are also young cross-country runners participating at Bryanston, Botanical Garden, Century City and Delta Park. 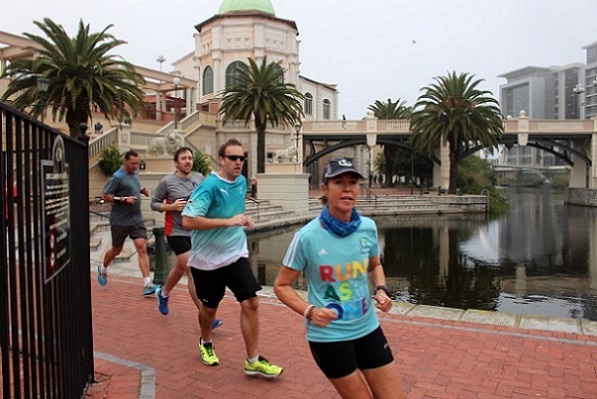 On Saturday we launched the inaugural Century City parkrun in Cape Town. 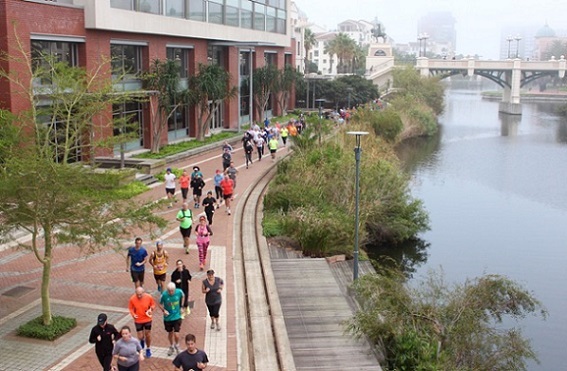 I have named the Century City parkrun the “Monaco Grand Prix” of parkruns. It really is an exciting urban adventure guiding parkrunners past buildings, over bridges, alongside canals and even through part of a shopping mall. The runner ahead of me shouted “I’ll have a cappuccino” as we ran past a small restaurant. Over 500 eager runners arrived for the inaugural run and afterwards everyone was full of praise for Brian Super and his amazing team of volunteers. On the 7th May Richards Bay joined the parkrun family. 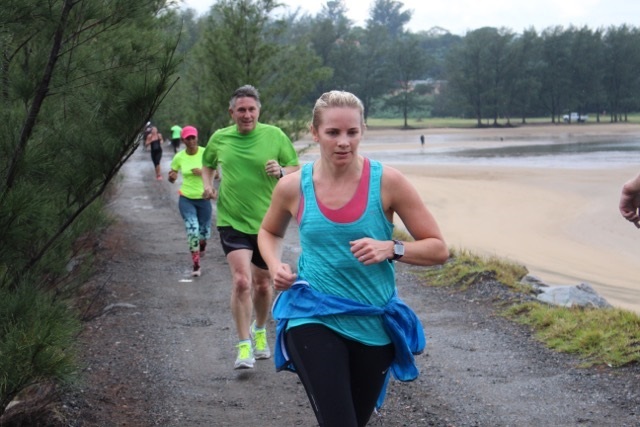 The Richards Bay parkrun had been eagerly anticipated by the Northern KZN community. Event director Kirsten Hodgson and her team have designed a very special Richards Bay route which starts from the Zululand Multi Sports Centre and includes dirt roads and paths through thick forest and an out-and-back visit to the aptly named Pelican Island. Despite overnight rain and the threat of more rain nearly 300 runners converged on the sports Centre for the inaugural run. We were honoured that the MEC for health, Dr Sibongiseni Dhlomo agreed to say a few words and then officially launch the 80th South African parkrun. The parkrunners gathered there were even more impressed when Dr Dhlomo decided to run as well. Not only is Dr. Dhlomo a veteran marathon runner but rumour has it he is now hooked on parkrunning as he was spotted running North Beach parkrun this Saturday. In only a few short weeks the Sutton family, Chris, Heidi and Emma have become synonymous with Gilloolys farm parkrun. They have created a very popular run in what was once a very run down park. Part of the reason for this is their infectious enthusiasm for parkrun. Nowhere has this been better illustrated than when young Emmah was run director on Mother’s Day a few weeks ago.Emmah is one of the youngest run directors at parkrun. At the finish Emmah gave all the mothers a Mother’s Day hug. Of course Sunday 29th of this month is Comrades marathon day and the 91st running of this classic South African icon is a down run to Durban this year. Durban and Pietermaritzburg will be packed for the whole weekend. We would like to wish all our parkrunning friends who are running Comrades the best of luck. Please remember that the Comrades is just 18 hilly back to back parkruns and you will all be fine. Of course the KZN parkruns will all still be going ahead as usual. We anticipate that North Beach will have a huge turn-out as parkrunners from around South Africa and the World converge on the Durban beachfront for a parkrun alongside the Indian Ocean. parkrun is getting into full Comrades mode over the next two Saturdays and we want to see you there! Limber up those legs and get ready to run! The place: your nearest parkrun! And the shoe: the Maxed Marathon Racer! Its ultra-lightweight construction is designed for maximum speed and comfort, and at just R499.99, it’s a real winner! To find out more, join us next Saturday – just one day before the Comrades Marathon – where our team will be hosting one of our biggest and most exciting activations to-date! If you’re in the Durban area over the Comrades weekend, head down to the scenic North Beach promenade and join us for a parkrun activation of epic proportions. Think exciting giveaways in collaboration with our parkrun partner, Discovery Vitality! This is not only your chance to win big, earn those Vitality points and limber up those legs ahead of Sunday’s ultramarathon, it is also your chance to ask our MRP Sport team about the Maxed Marathon Racer, and of course, make a morning of it! See you on Comrades weekend, parkrunners! Running Comrades? Here’s how to claim your Discovery Vitality points! If you are running this year’s Comrades Marathon, you can earn up to 3 000 Vitality Points. Discovery has created an effortless system where Vitality members participating in the Comrades can claim their points by following 3 simple steps: download your certificate from the Comrades Marathon website; send your certificate to comradesresults@discovery.co.za; and remember to include your ID or passport number, name and surname, date of birth, and Discovery number when emailing your certificate. All points that have been claimed will reflect within 7 working days. Don’t miss this opportunity to get rewarded for staying fit and remember to claim your Vitality points before 30 June 2016. The Discovery team wish you the best of luck throughout the Comrades Marathon. Continue pushing the boundaries and congratulations for participating in this absolutely memorable and historic event. This dude below – his name is Kandas (from an old SA movie in the 70/80’s, “Kippie and Kandas”) – is the sole reason I am about to hit 100 parkruns. When we got him back in 2013, he was boisterous and needed to have a “daily run” and we used the Len Rutter Park in Florida – as it is across the road from our home. Then we discovered parkrun back in October 2013. My first parkrun was on 19 October 2013. This was completed by both of us in 46.33 and we have run together every time I have run, except when I ran in the UK last year. In fact, Kandas has run many more parkruns than me. If my wife and I were away or could not run, then my daughters and/or their boyfriends would run him. Kandas, or “Candice” as some runners call him, is very well known and loved at the Roodepoort parkrun. Kandas is known for his excited barking at the start of every parkrun. He is just telling the starter to get on with it. This excitement starts at about 06:30 every Saturday morning with barking to wake up the humans in the house and get us all going. So, shortly I will run my 100th and I will include my mentor and running mate in this celebration as well. 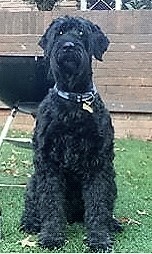 We (his humans) are going to get a shirt with a “Big 100” on it for him, and his reward will be a nice big steak. He will also have a big box or 3 of dog bikkies for all the other dogs – big and small – that are running companions of many humans at the parkrun, all of whom he has got friendly with over the past 2+ years. Do you know of any other dog running companion who is also a 100 parkrunner or close to it? The 15th April was a special day for myself and my three brothers from different parts of South Africa. My oldest brother Nick from Hobie Beach in Port Elizabeth, myself from Three Silos in East London, my brother Lorenzo from Heron Banks in Vanderbijl Park and my brother Bennie from Aliwal North joined up to do the Aliwal North parkrun together. The four of us have been taking part in parkrun for different periods of time, but with just as much enthusiasm since joining the experience. The experience of taking part in parkrun is of particular interest for my brother Bennie; he is building up his fitness again after having a hip replacement operation about a year ago. 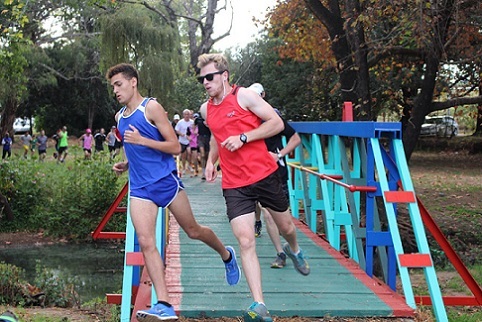 Despite this, he has already had a sub 30 minute finish time at Aliwal North parkrun. He has been the fitness fanatic in the group, having 12 successful Comrades runs and 8 Two Oceans Ultra runs behind him. Doing the run together as a family was the highlight of our weekend together. There was a very nice spirit of competition amongst the four of us, but all in all it was the satisfaction of us taking part together that made the day well worth it. Noah Manyengo is a monitor/security guard at Rietvlei Zoo Farm. He came to me just over a year ago and said he would like to try Rietvlei parkrun and asked us to register him at parkrun. Noah did not even have a pair of running shoes or clothes. Shawn gave him an old pair and some running pants and top to get started. He ran a time of about 18 minutes as a first time parkrunner at Rietvlei and fell in love with running! Then he started improving and he is now the fastest Rietvlei parkrunner with a time of 16:39 for 5km. Noah is 27 years old, this is the first time he is running and he loves it. Noah then decided to run some road races. Rietvlei Zoo Farm sponsors him his transport and entry fee money for races and we adjusted his shifts and take him off duty on Sundays so he can enter road races. He ran the Jackie Gibson 21km where he came 5th after leading, but picked up an injury near the end. He also ran the Birchwood Benoni race and came 2nd.He has run two other races and has twice come 3rd place. Noah did not belong to a formal running club but has now been sponsored by FNB and has joined that club. He approached us to host a braai and overnight stay at our Rietvlei campsite on Sunday 1st May 2016. To which he invited interested running friends. Noah explained that they all want to run the comrades marathon next year and they need some information, training and nutrition programmes. 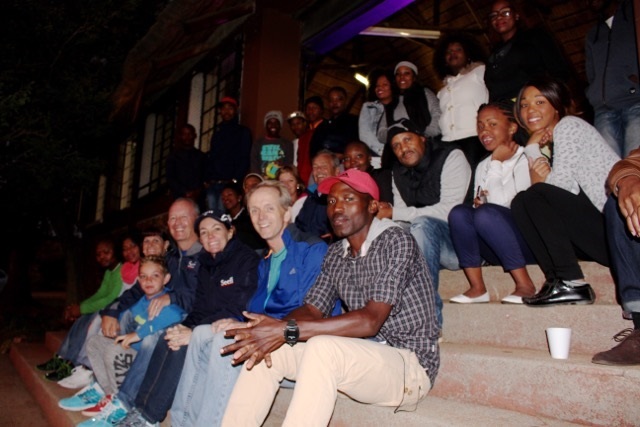 Noah was overwhelmed and very excited by the “surprise” visit from Bruce Fordyce on 1stMay 2016 at Rietvlei Zoo Farm and is looking forward to training and running the Comrades Marathon in hopes of winning the famous race in the next 5 years! What fellow volunteers say about him: Harry has been our volunteer photographer from the very first event. He doesn't miss an event - not even for a lot of rain. He is passionate about being part of parkrun and walks a part of the parkrun route every day with his wife and dog - telling everyone along the way about parkrun. I've heard a couple of times: "how do you know about parkrun?" "The old guy with the dog and his camera told us about it!" 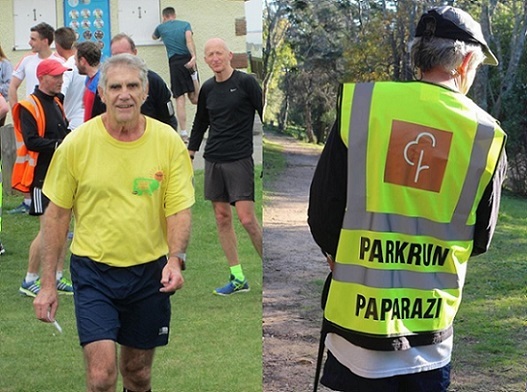 In this edition of the SA parkrun newsletter, we look at the launch of two new parkruns, we see some children at the beginning of their parkrun journeys, and hear from a visitor from the UK with a message for Councils thinking of charging for parkruns. We also celebrate our parkrunner of the week, Peter Stockwell from Grahamstown parkrun. I was very proud when my daughter Cara Fordyce recently earned her red 50-milestone shirt. So too were the seasoned parkrunners from Delta Park, her homerun. Cara has been a part of parkrun since its inception back in November 2011. However, what really impressed everyone was another parkrun statistic of Cara’s. She has volunteered over 220 times! This is truly an amazing figure. Volunteers are the lifeblood of parkrun and without them it would be impossible to hold a single parkrun. There are many different volunteer roles for those who wish to give back to their fellow parkrunners. It is even possible to volunteer and run at parkrun. There are parkrun tasks which make this possible. In many ways volunteering is as healthy a pastime as running as the volunteers are up and about and setting up and breaking down long before and after each parkrun. Of course there are times when it is tough being a volunteer; setting up in winter, standing in the pouring rain and dealing with difficult parkrunners are just some of those. But our parkrun volunteers seem to come back time and time again. I would like to encourage every parkrunner to try to volunteer at least 3 times a year. I met an enthusiastic crowd of volunteers at Gilloolys parkrun who told me they love volunteering and Don Oliver (Big Bay parkrun) brushed me aside when I tried to thank him for coming in all weathers to do the timing at Bloubergstrand. “Nonsense Bruce“, he said “Where else but parkrun would I get as many hugs as I do from pretty women”. In the last two weeks we have started two new parkruns; at Gilloolys Farm and in Witbank. The Gilloolys Farm parkrun launch was simply astonishing. A parkrun inaugural record field of 971 arrived on a beautiful autumn morning to run around the lake and across the grass and paths of the park. This parkrun is a triumph of co-operation between the Ekurhuleni municipality and event directors Chris, Heidi and Emma Sutton who have proved that once again parkrun is helping to return our parks and reserves to the people. Our thanks go to the municipality who cleared alien bush, moved fallen trees, cleared paths and painted the beautiful bridge, now known as the Gilloolys Rainbow Bridge. Gilloolys is also a phoenix-like triumph as, thanks to the Sutton family, it was born out of the ashes and failed disaster that was Huddle Park parkrun. Running at Gilloolys was a particularly nostalgic journey for me as I recalled running there for Wits University in the 1970s in the old Transvaal cross-country league races. It was so satisfying to see running returning to this beautiful part of Johannesburg. 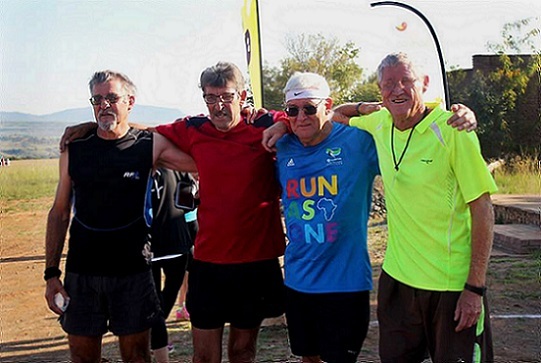 Last Saturday we saw another phoenix-like achievement at the launch of Witbank parkrun. At the penultimate moment Arthur Smith and his team were forced to find another route and thanks to the generosity of Eskom and the running club Eskom Gijimas we were able to run in the Eskom Park at Witbank. 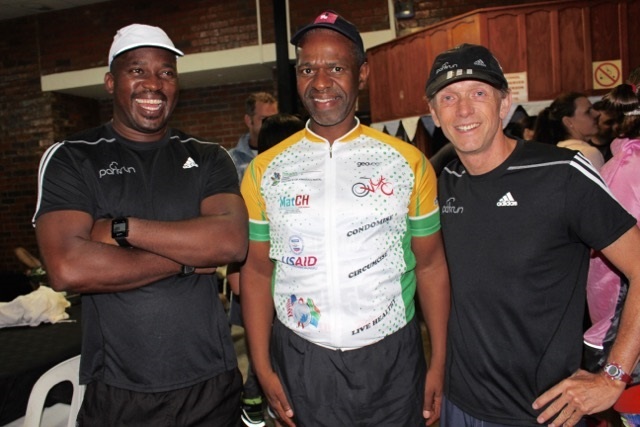 Nearly 100 eager Witbankers and parkrun tourists gathered to run the fast road two-lapper. Congratulations to Arthur Smith and to Paul Bester of the Eskom Gijimas and President of Mpumalanga athletics for creating this wonderful parkrun. After the run the consensus among the parkrunners who participated was that this last minute route is perfect. 1. Our 2016 membership fees have remained the same as last year's fees: R300 for running and R600 for cycling. 2. We offer amazing benefits including a free month's magazine subscription and discounts off sports gear. 3. We offer 50% cashback for certain events – you'll get half your race entry fee paid back to you. 4. Our 2016 members now get a R500 discount voucher off a pair of earphones. 5. If you sign up before the end of April 2016, you'll get a FREE Neon Run ticket (valued at R265.00) to this year's Joburg Neon Run event taking place in May 2016. Join Team Vitality – see you on the road! We’re kicking off May with an MRP Sport activation at Richard’s Bay parkrun this weekend – so if you’re in the area, come say hi to the team and ask them about our Marathon Racer! Not only is the Marathon Racer worn by our team of gold medallist runners, at R499.99, it is one of the most affordable running shoes in its category! And the announcement you’ve been waiting for: your achievement tees will be ready for collection at your nearest MRP Sport store in June! Thank you for your patience. Let’s keep on racking up those parkrun numbers for your next big parkrun milestone! Ewan did his first parkrun at Delta, having just turned five. Amazingly, he completed the 5km course without complaint with me in a time of 44:31! To begin with, I think the appeal for Ewan was the early morning sneaking around the house in the dark, trying not to wake his dad and baby brother, but he soon caught the running bug! Every week he ran a little bit more and a little bit faster, on the weeks when I was trying for a PB, we were lucky enough to have a core of special running friends who were happy to stick with him around whichever course we had chosen. The result was that within a year he had run a personal best of 33:58 with me trailing behind him! 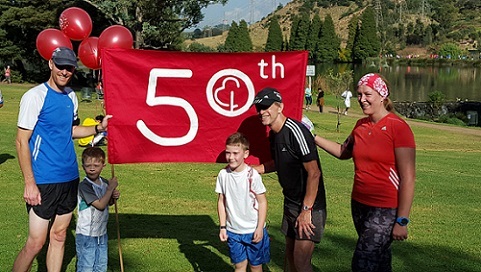 Today, aged six, he joined the 50 club at the inaugural Gillooly’s parkrun, and all of those who were instrumental in getting him here were with us to share in his special day. Well done Ewan ,we’re super proud of you and I hope the running bug stays with you forever. As Bruce Fordyce said yesterday, with parkrun SA growing every week, who needs any of those other minor sports! Beth Libby-Neale completed her 50th parkrun in a very festive way! 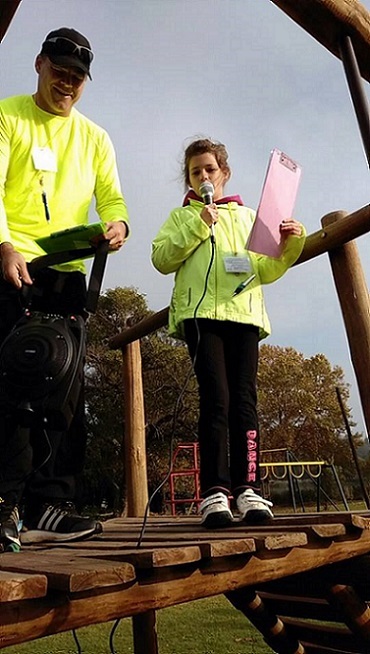 Beth Neale is an amazing parkrun ambassador, who teaches at Blairgowrie Primary. When the children have completed 18 parkruns, they get a certificate in assembly for having done the equivalent of a Comrades marathon! My immediate thought was to see a few people doing it, perhaps 50 tops as it can't really have caught on. Perhaps a tent set up for logging your time, a rather rough course and the people involved hoping it catches on and more people do it. How wrong I was! 1,000+ people, a sound system pumping out music. There was a podium at the start line where the event organiser welcomes everyone over the sound system. It was more akin to turning up to a one off half marathon event than a regular parkrun. A smile instantly lit my face. I was sporting my milestone 50 t-shirt. I wasn't aware but I had arrived on a day when they were presenting some milestone 50 achievements to their local runners. 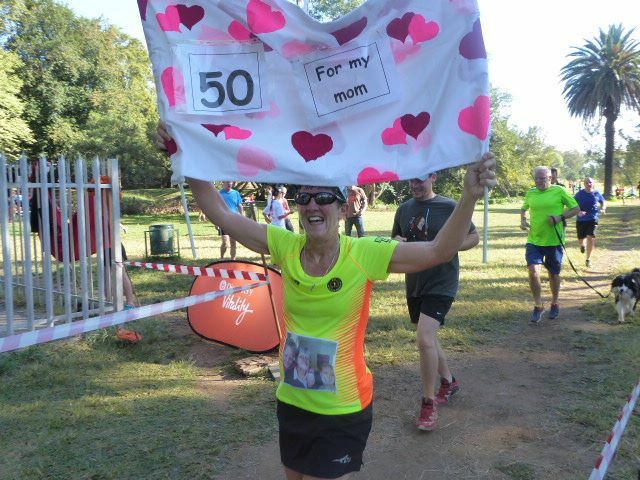 Now here is Lesson One, not just for Bristol but for all parkruns - South Africa parkrun celebrate the milestones!! Everyone wearing a milestone t-shirt that morning was made to come to the front, including me. Arms were thrown around me and I was into a big group photo. The people who had just reached the milestone had a red balloon tied to their arm so people could congratulate them on their way round. A couple had made a huge banner saying "Milestone 50" and ran the course with it. How fantastic to celebrate milestones. It is exactly what the spirit of parkrun is about. Now with 1000+ people and sound systems on the go, surely the wine farm owner never expected this. All these people trampling through his vineyard every Saturday morning, they must be thinking of charging them for the privilege and to cover the damage to the paths. Lesson Two. No they are not. The wine farm owners have embraced it. They have built a new road to give people easier access to the car parks. This means people can avoid the tricky need to cross the main road, and with the volume of traffic on the Saturday morning this is fantastic. They have then opened up more of the grounds so a market can take place on the Saturday morning too. Local retailers start to benefit. parkrunners meet up after the run and the community spirt is in abundance. When you are on holiday you pop to see the local sites, but rarely get to meet local communities. The morning I spent at Root 44 parkrun was the best of the holiday. I met people, we shared stories, they cuddled my seven month old child, and we had breakfast together. For a few short hours I was a part of the local community. Bristol Council may read this and think, "Yes, well the wine farm owner is onto a winner. Their trade of wine increases with the more traffic and I am sure there is rent agreement for the market". All true, so Bristol council again, why not do the same? Open your park and push to get more people doing the parkrun. Set up the market stalls to aid your local retailers. Have the food areas so the diverse communities can break bread and become 'one' for a morning. Welcome visitors to your city. Become the UK beacon in the battle to fight obesity and take the pressure off the NHS. Adopting the approach of the South African wine farm owner gives back so much more than a short-sighted greed to impose a £1 charge that risks empty parks or no event at all. 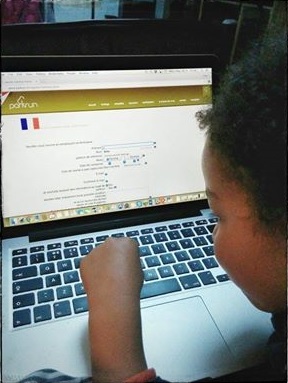 4 years old today & registering to parkrun like a big girl! Welcome once again to the parkrun family my baby girl. I smile when I think about what those numbers mean. They're going to be with her for the rest of her life and with them she'll have somewhere to exercise, she'll make friends, she'll have fun, she'll travel around the world, she'll get involved, and one day she'll take her own children. I know that with those numbers there will always be a place where at least once per week she'll be able to meet with like-minded people who get together in the friendliest way to do something good. 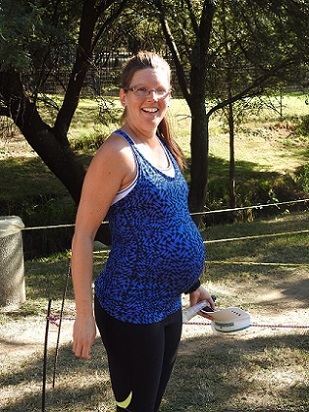 Here is Lucy Pearson running her 100th run a week away from her due date. 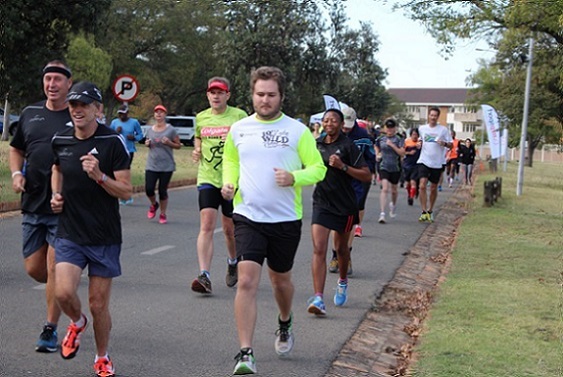 This run was at Lonehill parkrun on Saturday 16th April. She would have be full term on the 18th April! What do you like about parkrun: The parkrun concept has been enjoyable, this way I can give back and encourage others too. It doesn’t matter the speed at least they are exercising. Most memorable or funniest parkrun moment: I will remember breaking the 25 minute barrier at the course in Wimbledon, England, while being passed by a guy pushing a pram. Why should others volunteer at parkrun: It gets them involved and seeing what it is all about. Giving back to the community and it shows a commitment to the cause.